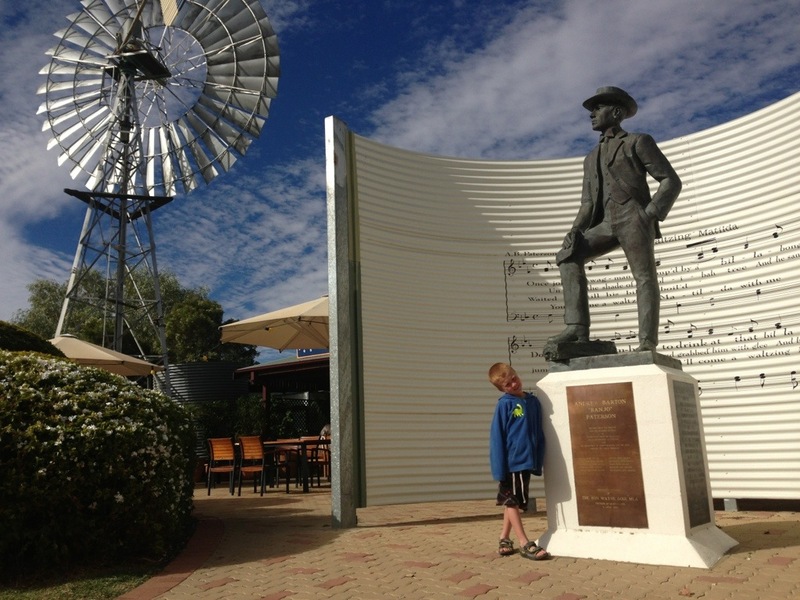 Yesterday we drove the 360km’s from Winton to Boulia. 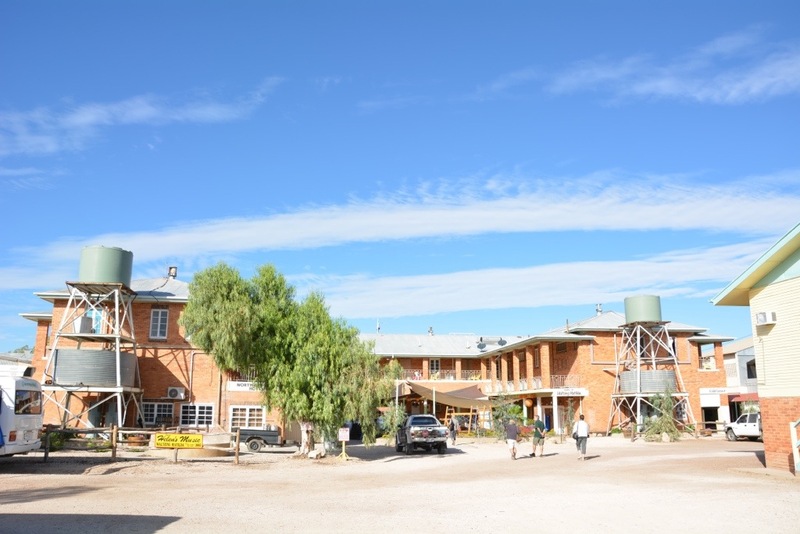 We left Winton at 12pm after sleeping in and being a bit slow in the morning and doing a big stock up on groceries and meat at the butcher. 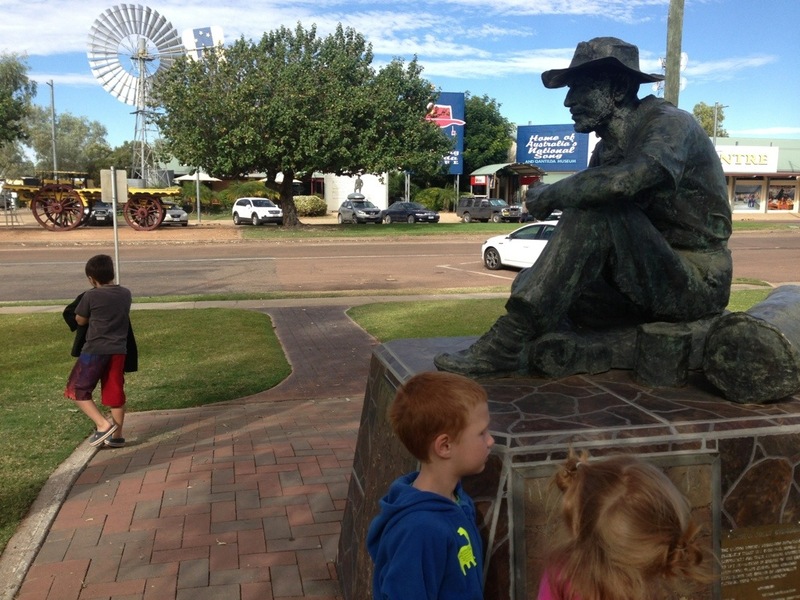 We arrived in Boulia at 7pm which was far too late and really silly/dangerous to be trying to find a campsite in a place we have never been to in the dark – we have vowed never to do that again! It was a nice drive – quite scenic and probably the most remotest countryside we have driven through so far. We stopped at the Middleton Pub for lunch (and Matt had to buy a beer from the bar). 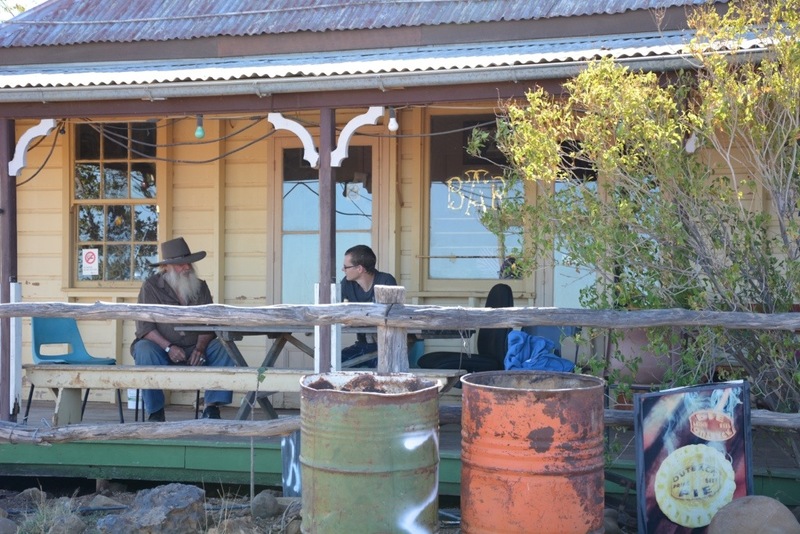 This pub is known to be one of the most isolated pubs in Australia – there is literally nothing at Middleton but the pub! 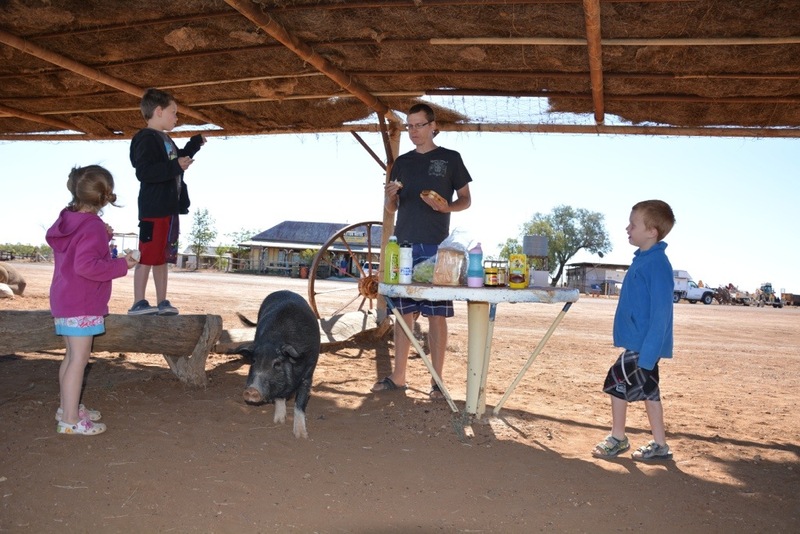 While we were making our lunch – a very friendly pig called ‘Pig’ wandered across the road from the pub to us and tried to steal our food – the kids thought it was hilarious! 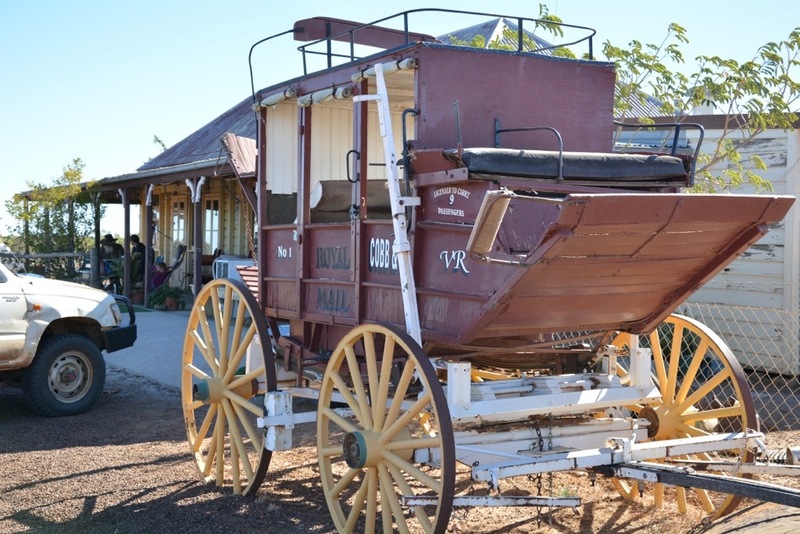 From Middleton we stopped at the old Hamilton Hotel site (each of these sites were Cobb & Co carriages change-over points on their route between Winton and Boulia – there were 9 changeover points – qute interesting!) 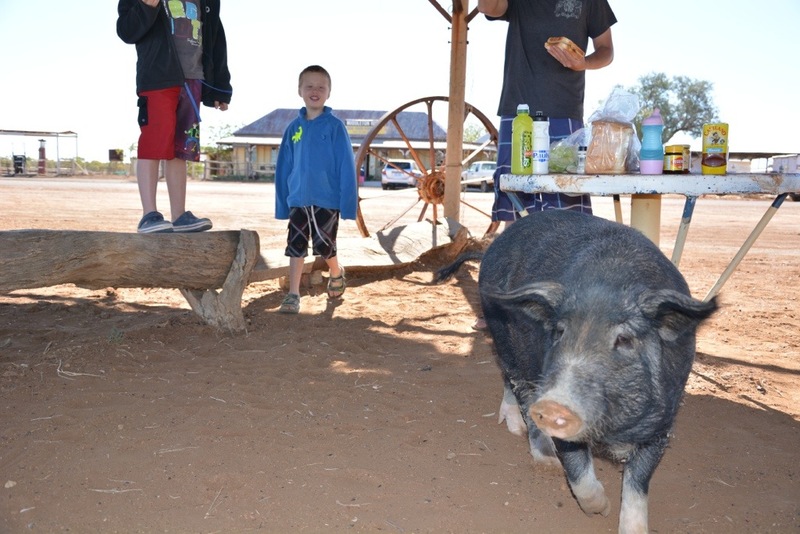 and filled up with water – thanks for the good tip Aunty Nerida and Uncle Garth! 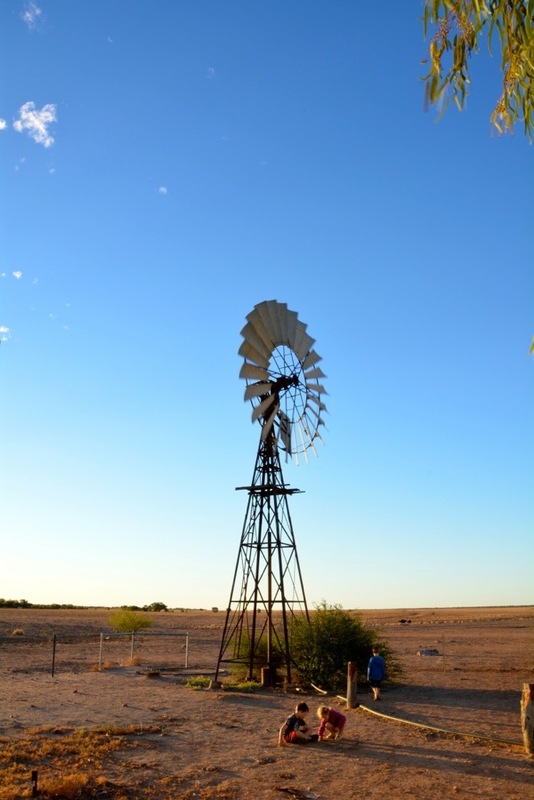 It saved us having to do most of the drive with a heavy camper full of water and we got some of the best tasting water straight up from the Artesian Basin! 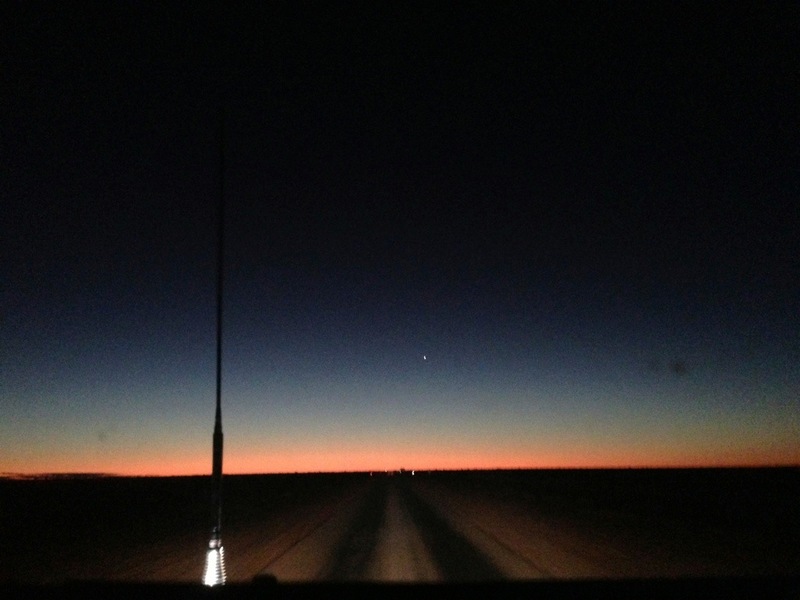 We ended up travelling in to Boulia in the dark (silly as lots of Kangaroos on the road!) 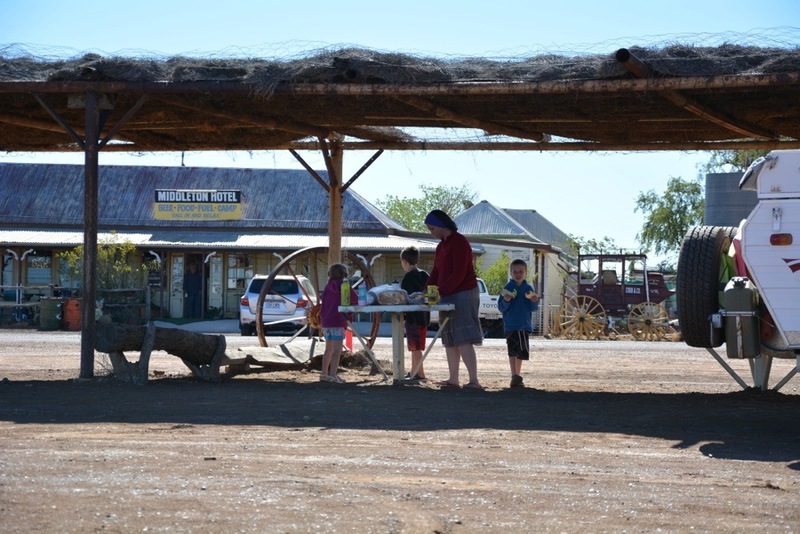 but we wanted to make Boulia so we could only have one set up and stay put for a few days! 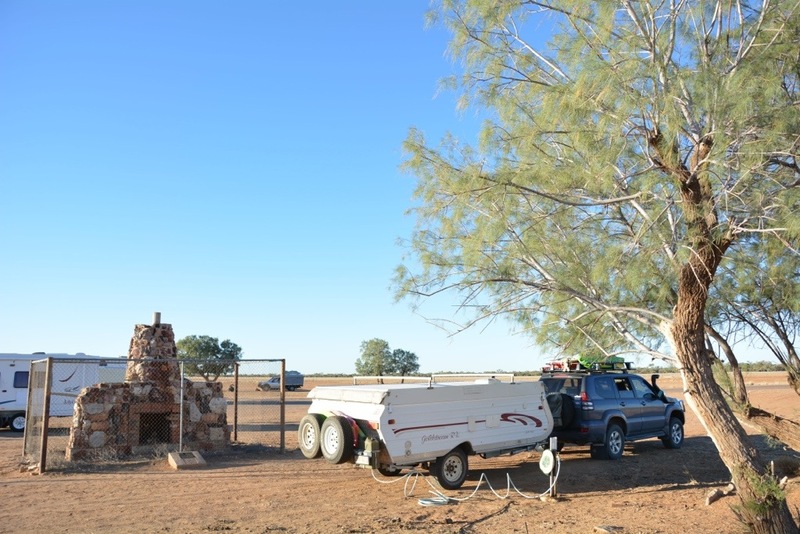 It took as a little while to locate the free camping area behind the racecourse, but when we did we were lucky enough to be directed in to a lovely spot by some Grey Nomads – saved us driving around dangerously in the dark and no arguments! 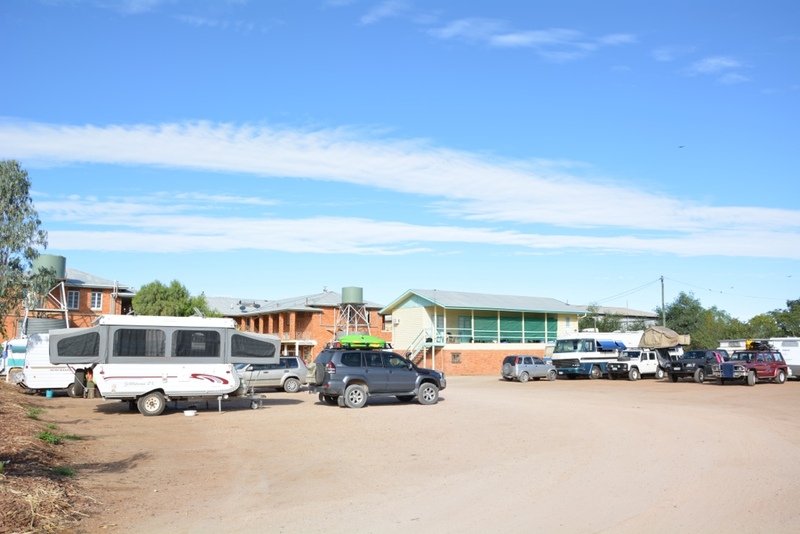 Campsite in Winton – quite crowded but a great spot!